Join more than 1,000 pet passionate people and their dogs at the 15th annual Mutt March! Bring your family and friends (both furry and not) and come out for a morning walk, shop the flea-less market, enjoy free breakfast, enter the famous pet costume contest, have your pet run the Lure Course, make a memory at the pet photo booth and much more! 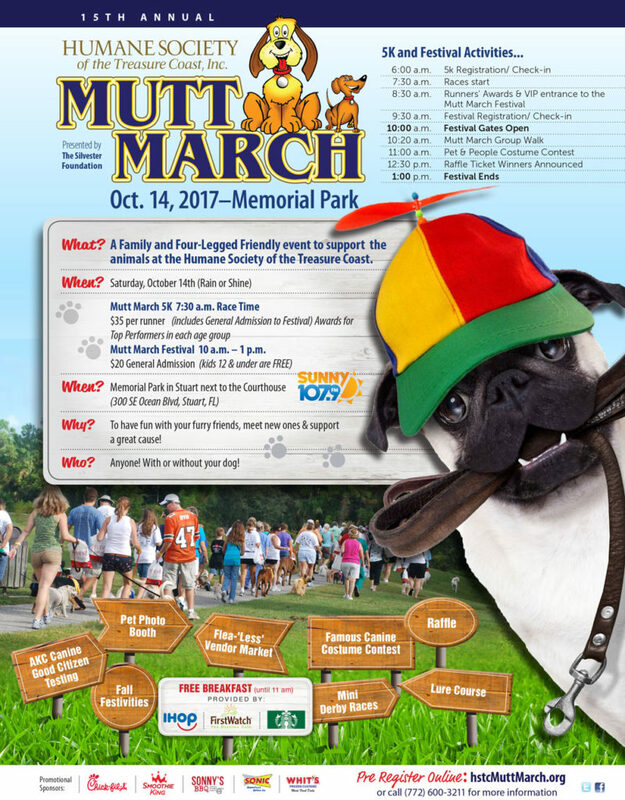 The Mutt March Festival is open to the public from 10 am ’til 1 pm with registration for general admission beginning at 9:30 am. The Mutt March 5K will begin at 7:30 am with registration/ check-in beginning at 6:00 am. Runners will receive VIP entrance to the Mutt March following the races at 8:30 am!